Throughout history, dogs have been used for many purposes. Some are great hunters, others are wonderful companions, while still others herd and others guard home and hearth. In our automated society, we often don’t need a dog to perform any of these functions, but it is wise to consider a dog’s ancestral origins before deciding to bring a specific breed into your home. The number one reason for a family to abandon a dog in a shelter is because the dog didn’t meet the family’s expectations. It’s not fair to your family or to your dog to expect him to behave in a way that is contrary to his origins. Take the time to learn about the specific breed you are considering to make sure his lifestyle will fit with yours. The hound group includes dogs as diverse as the Beagle and the Afghan, and everything in between. Obviously, any dog with “hound” or “hund” as part of his name is included, but the group also contains the Saluki, the Borzoi, and the Rhodesian Ridgeback. No matter the name, when you hear the word hound, you should think of hunting. The distinction between the various breeds lies in how they assist hunters. Some use their awesome powers of smell to track down the quarry, while others use their incredible stamina to run the prey until the prey can run no more. The big ears and low-to-the-ground chassis of a Basset make him just about the world’s best scent hound. His long floppy ears pull the scents off of the ground and direct them to his nose, enabling him to lead the hunter right to his prey. Bloodhounds have a somewhat more sensitive nose, but are higher up off the ground than the Basset. Either way, both have great tracking ability. Greyhounds and Whippets, on the other hand, can run until the cows come home. They will chase and chase and chase their prey, eventually tiring the target until he can run no more. When this happens, the hunter has a clean shot at his dinner. These dogs are excellent at lure coursing, as they will chase down anything that moves. If you don’t have a hunter in the family, you may still enjoy one of the hound group as they make fine companion animals. They are loyal to their families, but many of them also welcome strangers so you have no worries about over-aggressiveness. One caution: part of their heritage lies in alerting the hunter to the location of the prey. These dogs love, love, love to howl. Some, such as the Basset Hound, have raised it to an art form known as baying. Aficionados look forward to the day their hound puppy becomes mature enough to begin baying. However, if you live in cramped quarters with close neighbors, they might not find it so endearing. When most people think of terriers, they think of small dogs like the Norwich, the Cairn, or the Scottie. However, this group also includes giants like the Airedale and medium-sized breeds like the American Staffordshire. Common to them all, regardless of size, is the energetic, feisty personality. They are not great with other dogs, unless raised with them from puppyhood, and they have a tendency to bite off more than they can chew when challenged. No terrier ever thinks he can’t win a fight, even if he is very small and the other dog is very big. These dogs are not particularly quiet, and with their high energy level, they do not make great apartment pets. Originally bred to chase and kill vermin, they can run very fast and will chase anything that moves. A strong fence and vigilant use of a leash are required for these dogs to keep them from getting lost or hit by cars while chasing rabbits, cats, chipmunks, and squirrels in your neighborhood. Terriers have wiry hair that can require special grooming. Of course, you may choose to have your terrier cut to a puppy style, where all of the fur is kept about an inch long and is very easy to care for. However, if you want to show your dog or even if you just want him to have the characteristic terrier look, plan on spending lots of time with grooming tools. The toy group includes some terriers such as the Yorkie, Manchester, and Toy Fox Terriers, as well as other small dogs including the Toy Poodle, the Havanese, the Maltese, the Chihuahua, and the Cavalier King Charles Spaniel. These dogs do not share a common heritage and were mostly bred to provide companionship in a small package. The key advantage to a toy breed is that everything costs less than it does for a big dog. Food can be purchased in small bags, grooming services are cheaper, medications are purchased in smaller sized pills that are often cheaper, and smaller crates are cheaper than the large ones. In addition, because the dog is smaller, he has less fur to shed around your house. Another advantage with toy dogs is that they are much easier to control. If you’re not sure you have the time, patience, and / or money to properly train your dog, you might consider a small dog that can be easily controlled simply by picking him up. Ideally, of course, all dogs should be properly trained, but if you are unable to do so, or even if you want a dog who will sit with you in your wheelchair, a toy dog may be the one you want. A word of caution: never let anyone charge you more for a dog that is a “toy”. Many breeders take dogs who are supposed to be larger and breed them down to sell as designer dogs by putting the name “toy” in front of the breed name. This generally means that they take the runts of each litter and breed them to produce a smaller dog, resulting in puppies that can have many health problems. Do your research and make sure that you are truly getting a toy breed, rather than one that has been forced into a small package by selective, irresponsible breeding. The sporting group contains many of the world’s most popular dogs, including the Golden and Labrador Retrievers, the Cocker Spaniel, and the Brittany. You can identify most members of the sporting group by a breed name that includes the word pointer, retriever, setter, or spaniel. All of these dogs make excellent gun dogs, usually used for retrieving prey for the hunter once the target has been shot down. These dogs are very alert and extremely active. Don’t even think about getting one if you cannot spend the time required to give him regular exercise. They are best suited to homes with large yards and to people who like to walk or jog with a dog. They are also excellent at many dog sports including dock diving and agility. Most of these dogs are equally at home on land or water, and may make excellent swimming or boating companions. Many of these breeds also make excellent therapy or assistance dogs, as they are quite trainable and capable of opening doors, picking up the phone or a set of dropped keys or simply listening while a child reads in a non-intimidating environment. In spite of their high exercise needs, these dogs make excellent companions when they are not out running. They love to be loved and will loyally sit at (or on!) your feet every day while you read, watch TV, or do needlework. Some of these breeds are short-haired and require very little grooming, while others have long, curly hair with extreme grooming requirements. Breeds in this group include the Standard Schnauzer, the Akita, the Boxer, the Siberian Husky, and the Saint Bernard. The historical use of these dogs was, as the name implies, to work for man. They may guard property, pull sleds, or rescue people lost in the mountains or on the water. They are very intelligent and easier to train than many breeds. Grooming requirements run the gamut from easy (Boxer) to extremely difficult (Komondor). Many of these dogs have a tendency to be aggressive. They are also very strong and in great need of early training and socialization to prevent later problems with viciousness. Raising one of these dogs is a true responsibility which should not be taken lightly. These dogs are large and strong, making it imperative that they follow your every command. You will not be able to overpower these dogs to make them do what you want them to do. You must train them so that they want to do the right things when you tell them to do so. These dogs are often not appropriate for families with small children for two reasons. First is their sheer size. It is not uncommon for large dogs to knock down and injure small children, not out of viciousness, but simply out of logistics. These dogs often don’t know their own strength and think they are playing, but in reality they can hurt small children very easily. The second reason these dogs are often not a great idea for families with small children is because of the time commitment required for the dog. Training and exercise have to be done every day, and a family who is stressed out or too busy with kids’ activities may not be able to satisfy the needs of the dogs in this group. Herding breeds, as the name implies, were bred to tend the flocks and herds. These dogs have to be smart and independent to accomplish that task, and are often unsuited to indoor, calm family life because of these qualities. They want to have a task which challenges them, something that lying around the fireplace will not satisfy. Absent sheep, goats, or cows, these dogs will generally herd your children, helping you put them to bed or keep them in line! Members of the group include the Corgi, the Border Collie, the Old English Sheepdog, and the German Shepherd. These dogs were formerly classified as part of the working group, but the American Kennel Club gave them a group all their own in 1983. These smart dogs are generally very easy to train and do extremely well at obedience and agility trials. They often have very long fur to protect them in the farm environment, but in a family home this translates into a lot of grooming to remove burrs, leaves, small sticks, and other foreign objects that will become tangled in the coat. The non-sporting group includes a variety of dogs bred primarily for companionship. They run the gamut in size, grooming requirements, and personality. 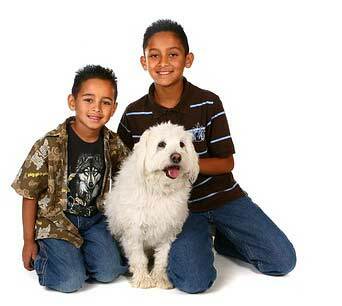 Breeds in this group include the Chow Chow, the Dalmation, the Poodle, and the Lhasa Apso. Dogs who don’t fit into one of the other groups fall either into the non-sporting group or the miscellaneous class. The miscellaneous class is for newer breeds that have not yet proven themselves worthy of entry into the AKC stud book. The requirement for stud book registration is “clear and categorical proof that a substantial, sustained nationwide interest and activity in the breed exists. This includes an active parent club, with serious and expanding breeding activity over a wide geographic area.” Once each breed currently in this class achieves this standard, it will be placed in one of the other classes. Breeds in this class currently include the Bluetick Coonhound, the Boykin Spaniel, the Cane Corso, the Cesky Terrier, the Entlebucher Mountain Dog, the Finnish Lapphund, the Icelandic Sheepdog, the Leonberger, the Norwegian Lundehund, the Redbone Coonhound, the Treeing Walker Coonhound, and the Xoloitzcuintli. If you are looking for a truly unique dog, you may want to explore these breeds. Many thanks for the the information about people dogs.